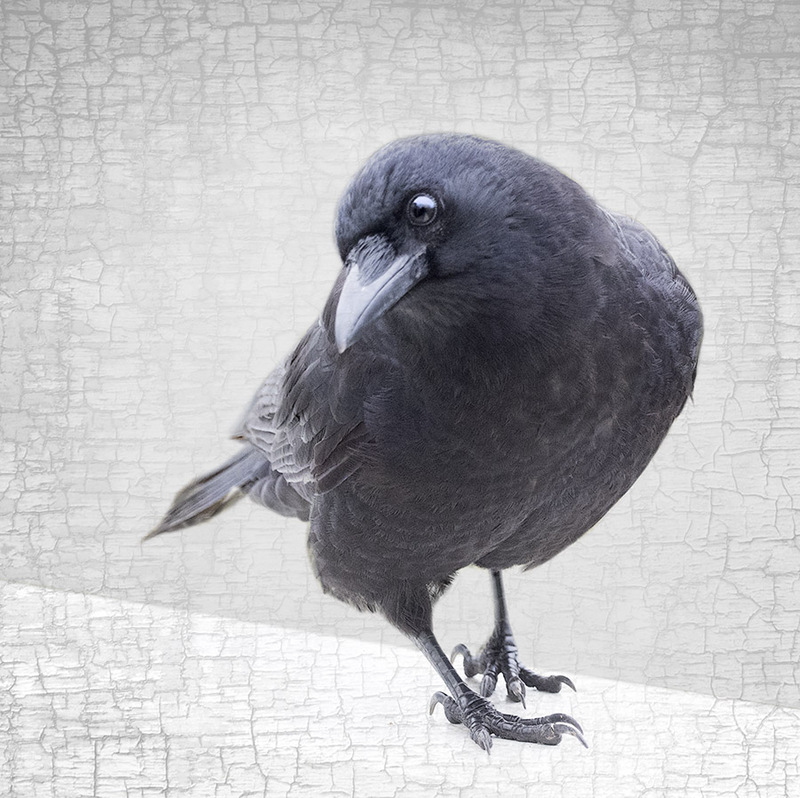 Read this blog and the others in the scavenger hunt, find the answers to the questions, and race to win fabulous prizes (including one of my raven pendants)! I have to admit, I have been a bit envious of the little girl in Seattle* who has received so many fabulous gifts from the crows she feeds every day in her garden. My local crow, Eric, and his family don’t usually leave me anything, except that which is white and rather slimy. 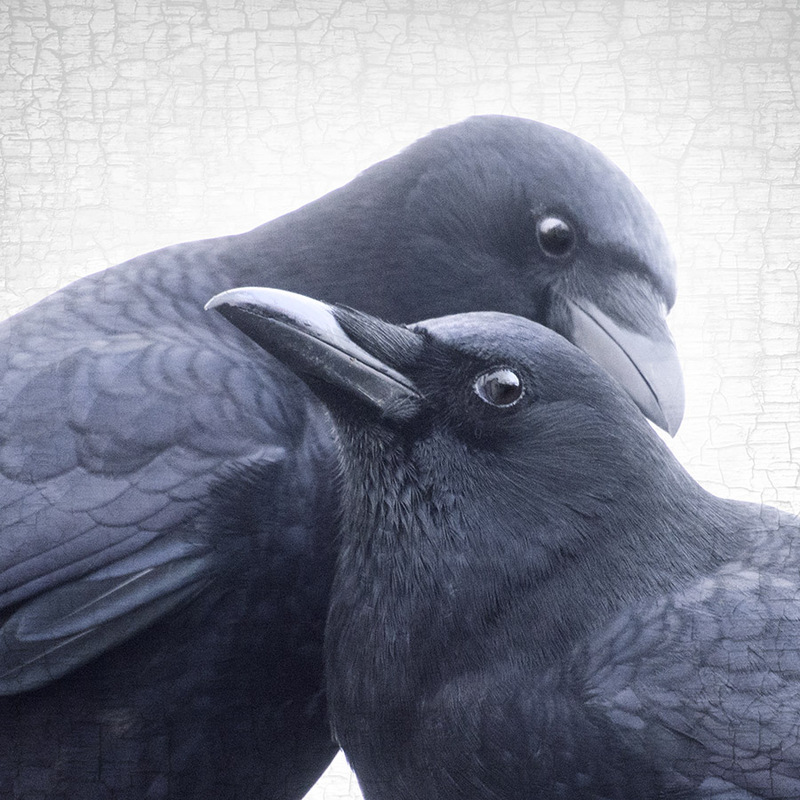 But the more I think about the nature of gift giving and receiving, I realize that I’ve gained many things, large and small, from my relationship with crows. Some things are both large and small at the same time. Take the feather, for instance. I was busy. I was putting out the recycling in the lane behind my studio. I noticed a small fluffy crow under-feather on the ground by the blue box. I picked it up and looked at it. I let go of the feather and it floated in the air. I walked back to the gate and re-entered the garden. 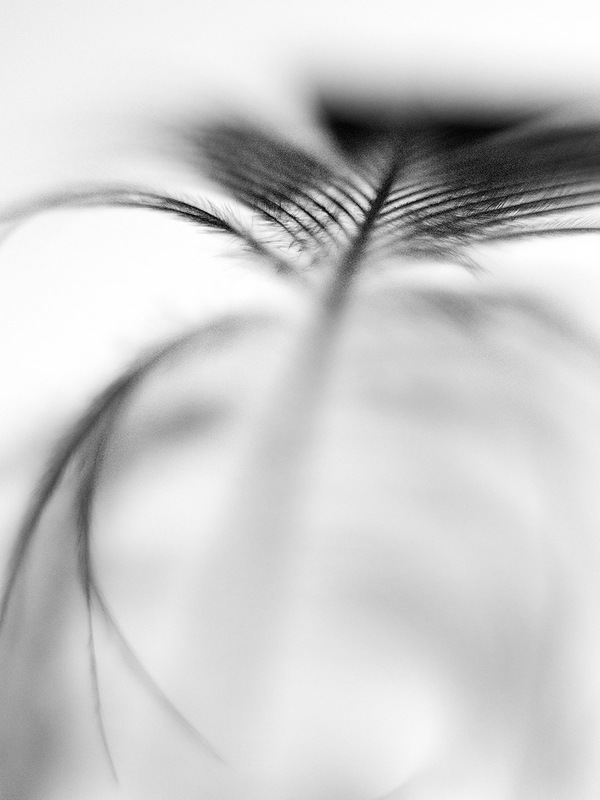 The feather wafted along with me. As I closed the gate behind me, the feather snuck in. At that point I felt that being actively followed by a feather must be a sign that the book-keeping could wait. 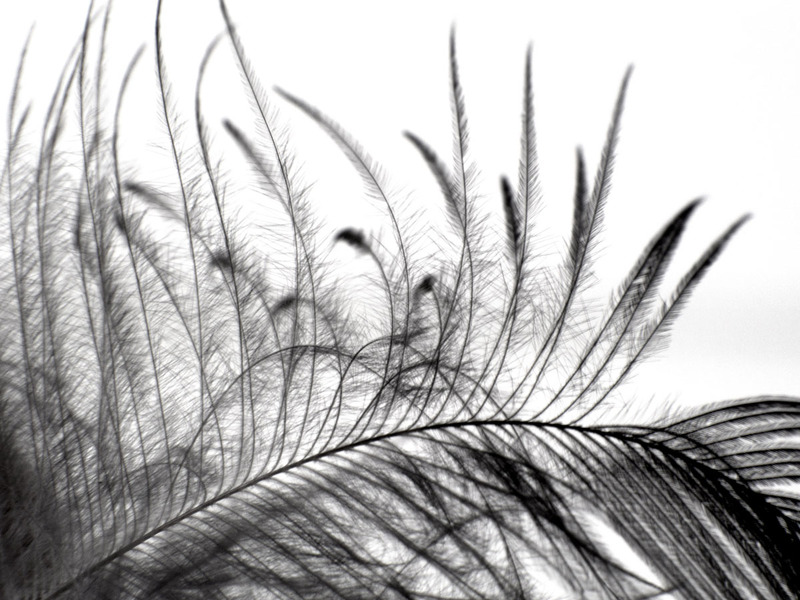 I spend an hour taking detailed photographs of that feather. The images are integrated into many of my favourite compositions. To most, it just looks like an interesting texture. But to me, it’s a little reminder that the book-keeping can always wait. A lesson and a gift from the crows. Eric’s greatest gift to me is that he allows me to take his picture. There is a reciprocal agreement, of course, with peanuts being involved. Still, Eric is exceptional in his willingness to be photographed. 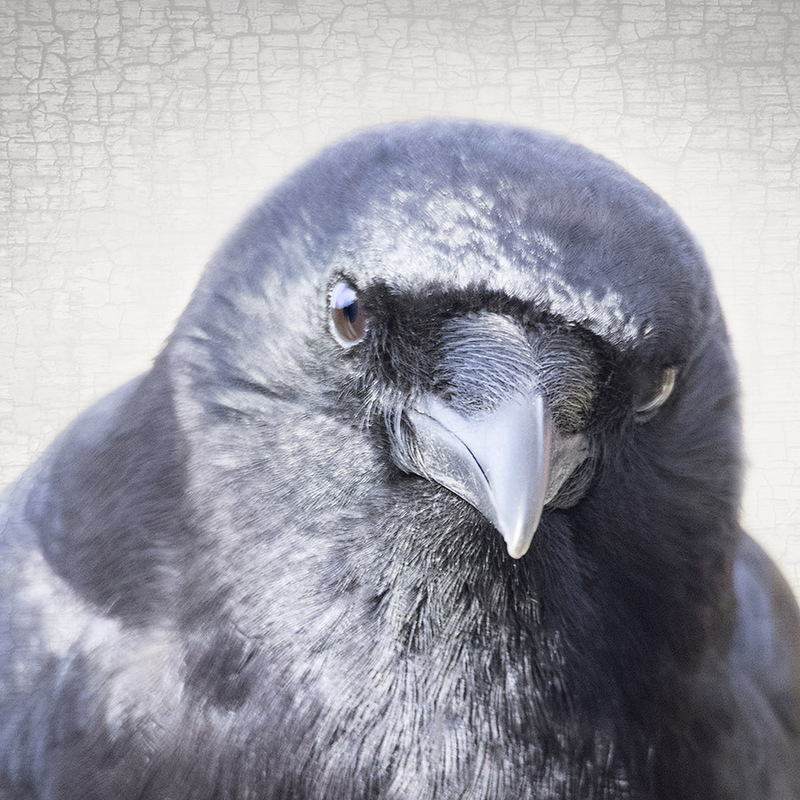 I have been a crow observer and photographer for years now, and found that most crows are immediately terrified and/or evasive when something is pointed at them, peanuts or no peanuts. No doubt they have strong ancestral memories of being shot at by things other than cameras. Eric, perhaps because he’s seen me out with my camera so many times, is far less fearful. Which has given me the priceless gift of getting to “know” and capture images of an individual crow and his family ties and foibles. Eric has a “sliding scale” of how close I can be to him, based on the offerings I present. For the usual peanuts, I can be two feet away. For mouldy cheese or slightly stale sausage, a foot or less is permitted. He is the dominant bird among his group, always grabbing the biggest and choicest pieces of food before the others dare to sneak in. But he’s also an affectionate partner and parent. 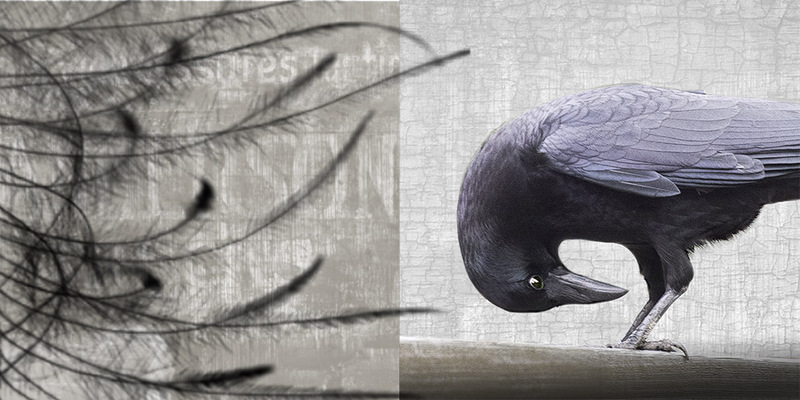 In some ways, the crows’ greatest gift is their potential role as a “gateway” to appreciating urban nature of all kinds. 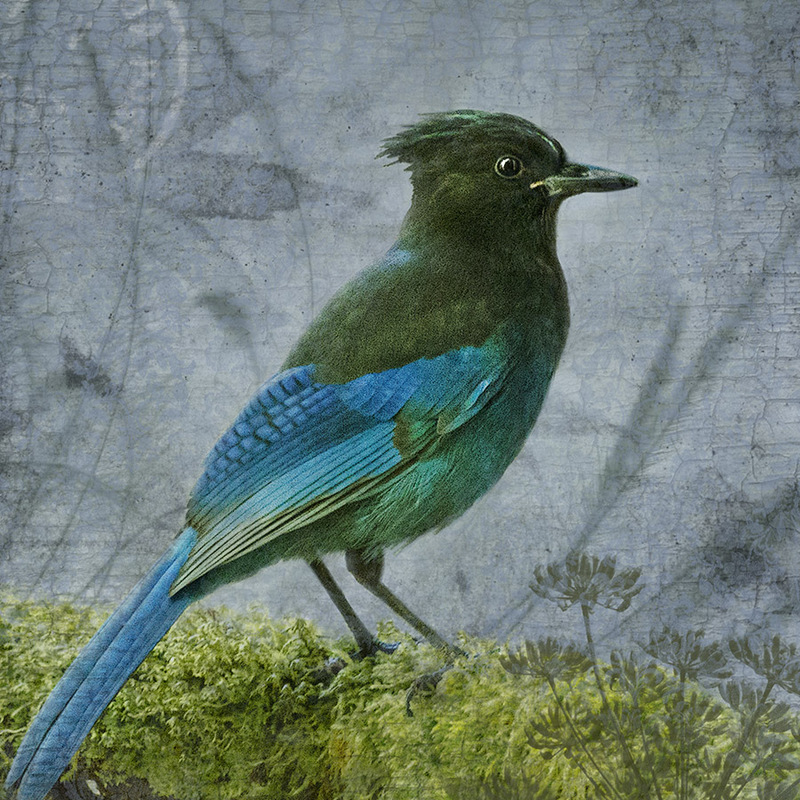 In her wonderful book, Crow Planet, author Lyanda Lynn Haupt points out that these birds are “the most oft-encountered native wild animal” in most peoples’ lives. Learning to appreciate their intelligence, humour, agility and essential crow-ness can be the first step along the road celebrating all of nature, in the city and beyond. As John Marzluff points out in his latest book, Subirdia, it is critical that humans maintain a “thirst to remain part of nature” in order to moderate our competing hunger for development, expansion and the continued degradation of the natural world. So, while I still dream of some day receiving a little trinket from Eric as a token of our “friendship”, I’m happy just to enjoy his company each morning. Every day I notice some new things about the crow life he leads. While I watch him, I also soak up the beauty of the sky, the trees, and the light in the chickadee’s eye. And I always keep any eye open for any crow feathers that might float by. If you’d like to read more about Eric, check out my earlier blog post Who Is Eric? 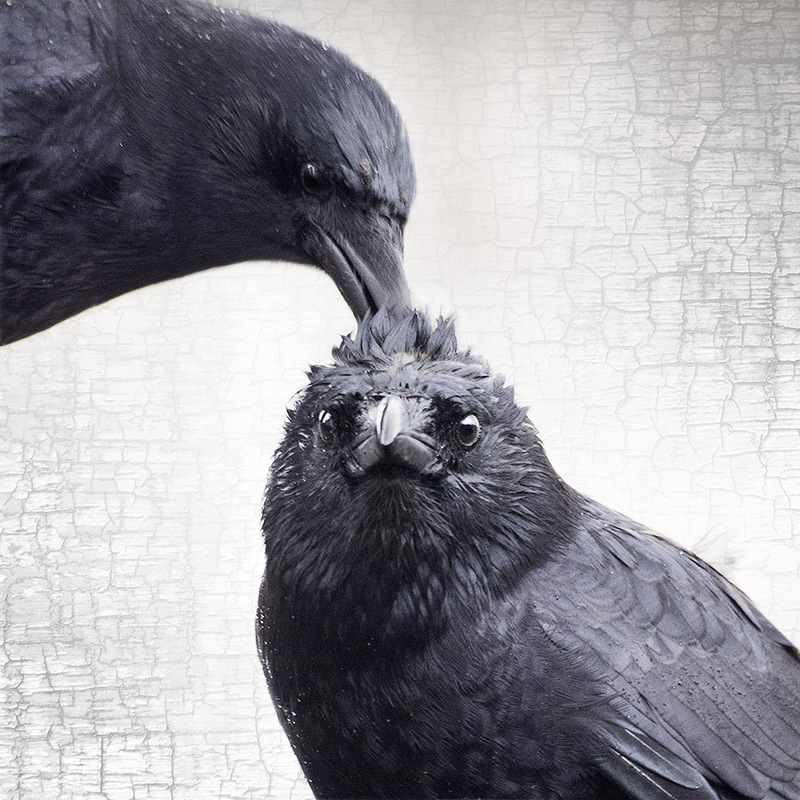 *More on the BBC story about the Seattle girl receiving gifts from her local crows.